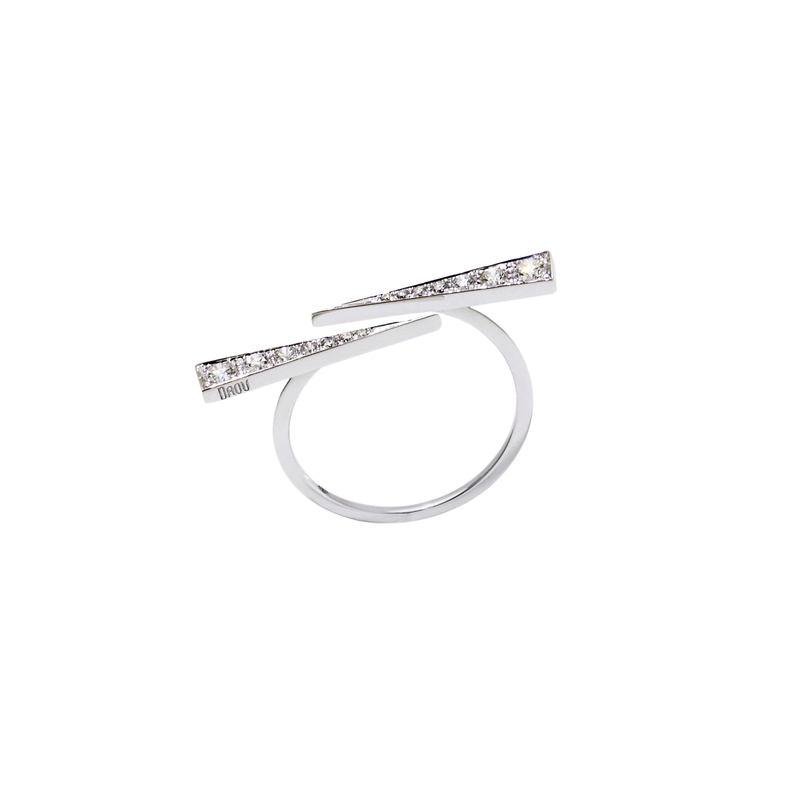 The Twin Spark ring is a modern, refined design. A perfect balance of delicate style with an edge. The Spark rings are also all designed to be worn alone or together creating a variety of bolder styles to adorn your hand with sparkling light. 14 graduated white diamonds in 18 carat white gold.Each spark measures 2 cm long, total ring width 3 cm.Sizes N and O 1/2 available, and different sizes may be ordered.